This past week, my email has been bombarded with welcome packets and study guides on becoming a new "In-Flight Team Member," complete with very specific rules and regulations for my appearance. There are make-up guidelines, nail polish guidelines, uniform guidelines, shoe guidelines, and of course, hair guidelines. Everything listed above I feel quite confident on being able to handle. All except ONE: My hair. Basically, in a nutshell, my hair must be up at all times and NO WISPIES! Here's the thing though: My hair UP equals a disaster area. I have no idea how to do "updo's". Case in point, see below. WISP CENTRAL. I mean, jeeeeezzzz woman, ever hear of a hairbrush? 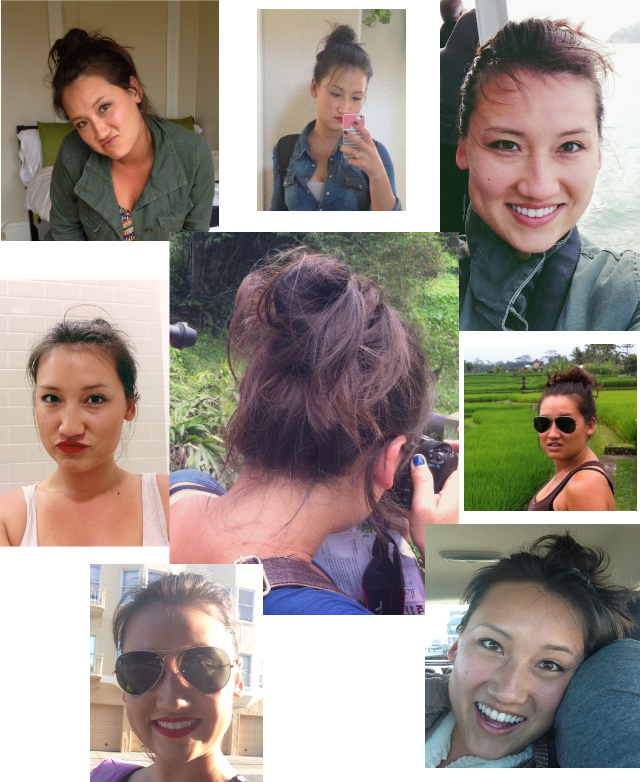 In doing this little collage project for you, I have quickly come to realize just how lazy I have become in the hair department. Poor Dizzle. It's a good thing he loves me so. As you can see, I'm not really one for a fancy updo. I mean, I don't even own hairspray! That's got to be a flight attendant SIN. Do you know what these ladies have in common?? I'm assuming that's where hairspray would come in. I'm honestly considering getting one of those things. Don't be jealous. Okay, but seriously, what else can I do to fix this rat's nest of mine?! Besides, obviously, combing it once in a blue moon. A Soon-To-Be Flight Attendant Who Doesn't Own Hairspray. Target has a great back combing brush, no bumpit needed :) Congrats on the new job! Easiest possible updo: the sock bun. Learn it. Love it. I may or may not have a bumpit in my vanity drawer. Don't judge me. Hair wax is great too, I prefer it over hairspray. As soon as you find out how to get rid of the wisps and do a classy updo, let me know! My hair never wants to be tamed and I FAIL at pretty updos. I've tried the bump-it ages ago, it's so awkward to have a piece of plastic on your head!! I love the Not Your Mother's brand of volumizing hairspray, you tease your hair and spray that stuff in and BAM, teased amazingness. I know of someone that uses one of those Bump Its and she honestly looks cute..but she lives in the south too though where apparently big hair is a thing. Hairspray will be your new BFF! Also, the sock bun--easiest ever. Pinterest all the way on that one. I get wisps like there is no tomorrow! Good luck in figuring out my own personal hair hell! Maybe you could shave your head bald, and then find a wispless wig? You'll never believe this but I JUST bought myself a Bump It...got it for a wedding updo yet it didn't arrive in time for the wedding. So now I have an unused, never will use, Bump It. Shall I send it to you? learn how to do a sock bun! Don't wash your hair, seriously way less whispies when its dirty :) but then again I wear yoga clothes all day every day and cant do anything to my hair so i would not recommend taking my advice. I have two hairspray recommendations: Kenra 25 is kind of expensive but it will hold your hair down all day long (I am obsessed). You can get it at Ulta. L'Oreal Elnett hairspray is also good and available at most stores, and less pricey. L'Oreal Elnett is the whip. Spray it on your hair while styling and also on your brush and then brush down your whispys. I love it too because it never makes your hair hard or crunchy and doesn't leave me with a lot of build up. No to the bump it. Just tease, bump its always end up looking fakey. I've never seen an "in flight crew member" look half as put together as any of those pictures, but then again, I've never flown on your hip airline either. I think you'll be just dandy. So funny!! The girl in that Bumpits picture is my friend Katherine...her mom was the inventor of the ever-amazing "Bump It" haha!! So crazy...I have like 3 boxes of them at home...Katherine gave them to me. And have I used them? Nope. I'll gladly ship them over to you if you'd like them hahahaha!! Wispies are my enemy... I don't know why but I have them ALL the time now. Headbands and hair spray keep mine down. I'm also very fond of the side braid to keep them tame. When I was in FA training, they taught us how to do french twists. 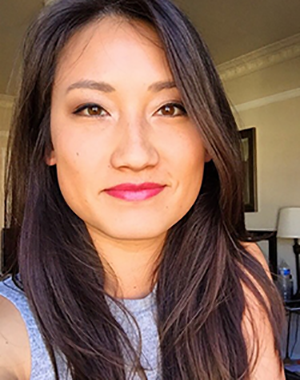 We weren't required to have our hair back at all times (you seriously can't wear it down?!) but during graduation and stuff we had to do french twists. I wore mine in a bun on top of my head A LOT because I was tired and the days were long so I just lathered on the hair spray! Bobby pins are your new BFFs. YouTube sock buns too! Also hairspray, hair gel, anything that tames them wispies! 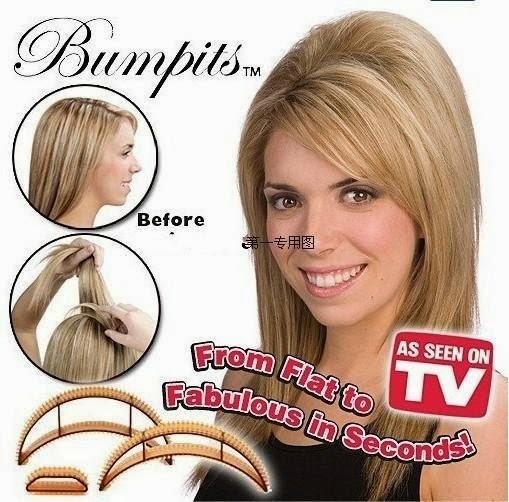 i totes want a bump it! All I can suggest is hair gel and top off with hairspray. I used to have long hair and once slicked back hairspray did a pretty good job. If you get some wispies a touch of water to reset the gel and spray.